In recent times a lot has been written and I’m sure you have heard it all before on global warming, the future of our dwindling resources and the protection of our environment. In a very small way here at Smart Choice Carpet Cleaning Gold Coast we take these things seriously and do what we can to protect you and your family by using products that have been certified safe for the environment and disclose all ingredients. 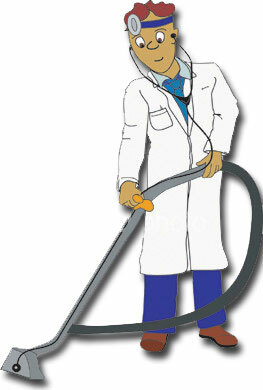 Our carpet cleaning has a low impact by using less energy, water and waste products are non-existent. We are happy to discuss any concerns you may have [and are standing by to take your call] that’s a joke. At Smart Choice Carpet Cleaning Gold Coast we believe in giving you a great result for a fair price. We have been servicing the Tweed Coast since 2003 and use the latest methods and advancements in carpet care to make sure you get the best clean possible. Our systems are ideal for commercial premises, residential, including lounge suites and upholstery and stain removal. We offer quick drying and minimal inconvenience because we know your time is valuable and have a quality guarantee because of our confidence in our methods. You can rest assured that your carpets will be as good as they can possibly be. The Australian Carpet Cleaning Institute recommends that your carpets be cleaned every 12 months for residential and more often for commercial premises that have high traffic. We service all of the Tweed and Gold Coast and are happy to provide a written quote. All major credit cards and eftpos are welcome. By using our service you can have the peace of mind knowing that you are using a local tradesmen that cares what type of service and quality he provides. For clean fresh guaranteed results, make the Smart Choice with your carpet cleaning gold coast – specializing in dry and encapsulation cleaning, the latest in low moisture systems ideal for commercial and residential cleaning for quick drying and great results. Steam cleaning or HWE (hot water extraction) for those carpets that are saturated with foreign matter ie grease, pet stains, liquid spills. Moving out of your rental and need a professional bond clean or water damage and restoration from flooding, we can help you. Locally owned and operated, I will bring your old carpets back to life with either Hot Water Extraction or Low Moisture Encapsulation cleaning for RESIDENTIAL and COMMERCIAL customers. © 2019 Smart Choice Carpet Cleaning.